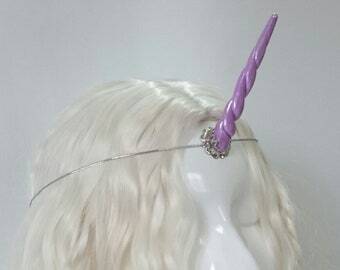 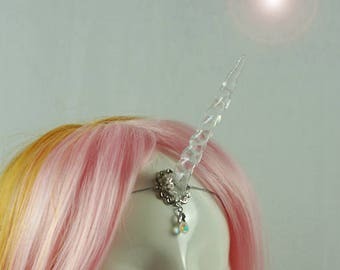 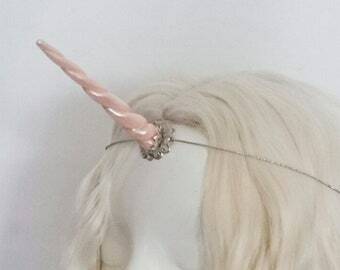 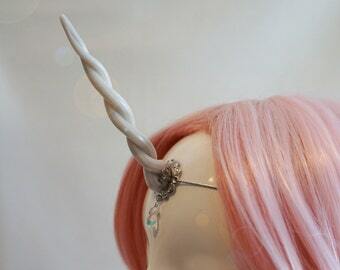 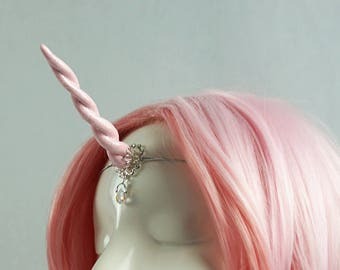 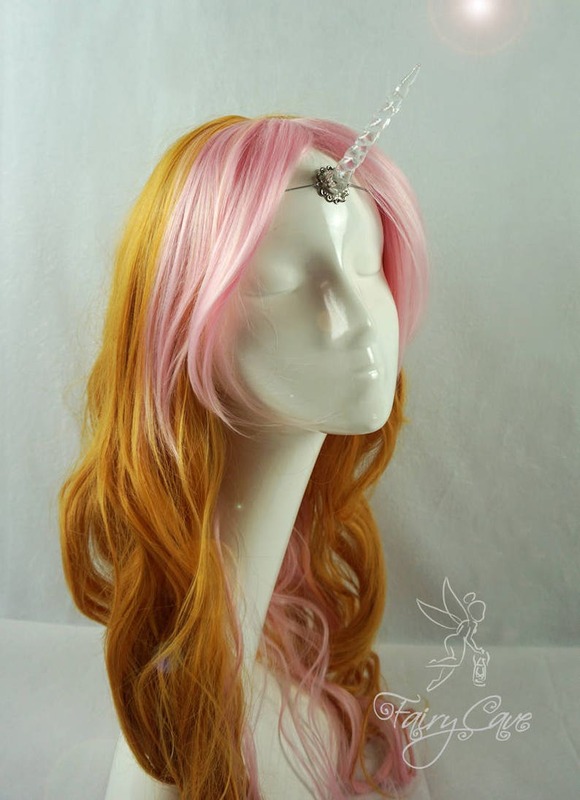 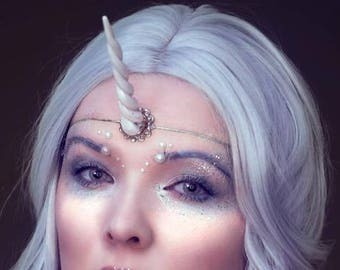 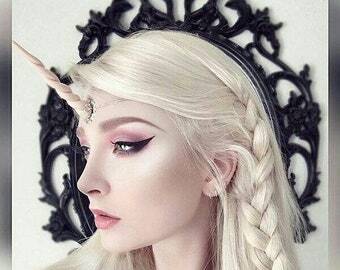 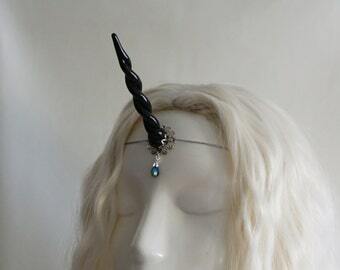 Silver or golden tiara with a handmade iridescent clear resin unicorn horn on a small filigree. 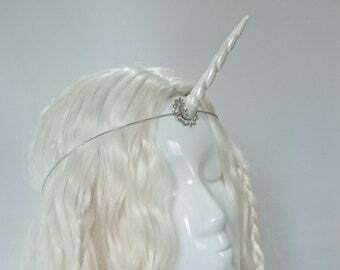 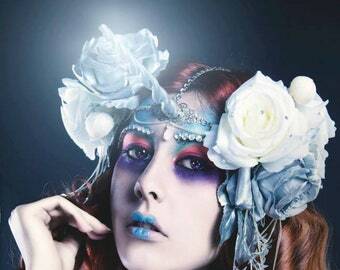 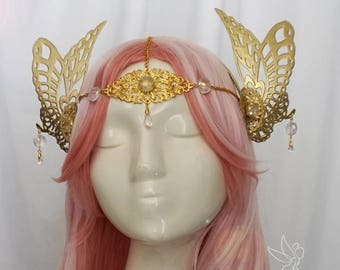 The tiara fits with a silver or gold elastic cord around the head. 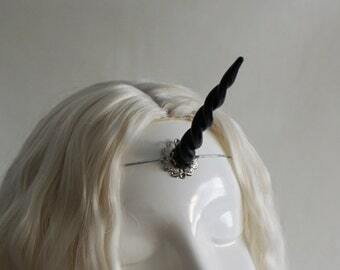 Lovely little horn, thank you!